Your loved one’s touch forever captured in high definition on a rose gold charm. It is so realistic you’ll think your loved one just removed her/his finger from the metal. 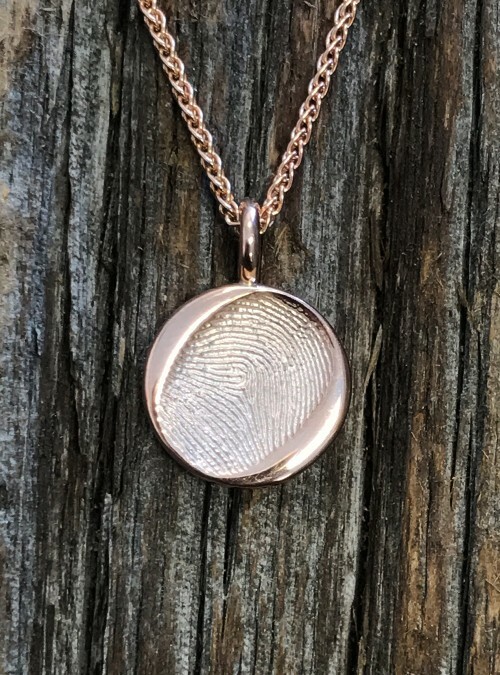 Your loved one’s fingerprint in high def on a rose gold charm, 14mm in diameter.